Please do not blame your attorney (at least none of the attorneys at SwedelsonGottlieb), but it is likely that any lawsuits that your community association may file will likely take longer to litigate than in the past. This will impact all courts in California. For example, and in response to additional budget cuts, the Presiding Judge of the Los Angeles Superior Courts recently announced new and additional changes that may be implemented in the Los Angeles court system within the next several months. These changes will significantly impact the amount of time it takes to bring matters before the court, as well as the accessibility of the court system to litigants. The Los Angeles County Superior Court, the largest court system in the state and one of the largest in the Country plans to eliminate 511 positions by June in a sweeping cost-cutting effort to close an $85-million budget shortfall by the beginning of the next fiscal year. “All of them are necessary,” the Presiding Judge was quoted as saying. Including those cuts, the L.A. court has lost 24% of its employees over the last four years, and the workload continues to increase. This is not just a problem in Los Angeles County; budget cuts are impacting the court administration in every county in the State. The courts are funded by the State, which has slashed funding in recent years, leading to court closures, higher court fees and longer waits for cases to be heard in all counties. The changes are in response to anticipated budget cuts totaling between $56 million and $85 million. Because the exact amount of the budget reduction is not yet known, the proposed plan set forth remains subject to change. Under the proposed plan, ten (10) courthouses in Los Angeles County will close, resulting in a greater number of cases at each remaining Court location. Court staff will also be significantly reduced. To best accommodate the higher caseloads, judges will be assigned to handle particular types of civil cases. Certain courthouses will also be designated as “hubs” for certain case types to centralize matters into as few courtrooms as possible. For some types of cases, a master calendar system will be utilized, under which cases are not assigned to a particular judge (as is the current system), but instead heard at one of the designated hubs for pretrial motions and hearings, and then transferred to a trial-ready courtroom (meaning that you will not know who your trial judge will be until the case is assigned to a judge for trial). For unlimited civil matters (case value exceeds $25,000) that fall under the “personal injury” designation, which would include auto accident and slip/trip and fall type cases as well as product liability, medical malpractice, premises liability (which would potentially include claims for injury due to water intrusion) and wrongful death matters, numerous changes will take place. 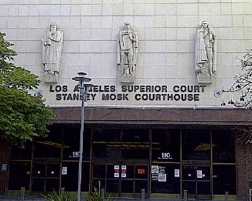 In the future, ALL personal injury lawsuits will be initially heard in one of three departments of the Stanley Mosk Courthouse in downtown Los Angeles. Five judges will preside over these departments, cycling through on an as-yet unidentified schedule. It is anticipated that these five judges will handle approximately 20,000 cases. So if your association is in Long Beach or Woodland Hills (for example) and you are required to attend a court hearing, you will have to go to downtown Los Angeles. It will be interesting to see where cases that allege a breach of the CC&Rs for an alleged failure to maintain the common area end up. Because those lawsuits are seeking both personal injury (many time) and property damage, these cases will likely be considered personal injury matters. When an unlimited personal injury case is filed, a trial date will be assigned within roughly 18 months of filing. To conserve Court time, the now standard periodic case management conferences will (most likely) no longer be held. When the case is set for trial, it will be assigned to one of 31 trial courtrooms in Los Angeles. Ten of these trial courtrooms are located downtown, with the rest located in districts around the county. The location where the injury took place will NOT be considered in assigning the case to a trial courtroom, with the sole criteria being which location is prepared to accept the trial. So, neither you nor your attorney will know what judge will hear the trial nor which courthouse you will be traveling to until the case is assigned. Certain cases that are determined to be “complicated” will not be subject to these new rules and will continue to be heard in front of an assigned judge for all purposes. A cases will be considered “complicated” based on factors including (1) the type of injury, (2) the length of trial, (3) the number of parties, (4) the number of documents and witnesses involved, (4) the number of hearings and motions necessary or (5) the complexity of the legal issues. These cases will be heard under the traditional system in the courthouse serving the area where the injury or loss occurred. The proposed changes are similar for limited civil matters (case value is less than $25,000), which will be consolidated in only one department within Stanley Mosk Downtown L.A. Courthouse. Only two judges will be responsible for hearing all limited cases. These cases will be transferred to a trial-ready courtroom without regard for the location where the injury occurred. The court’s Alternative Dispute Resolution (ADR) programs will be closed, with no referrals accepted after March 1, 2013. Only the Civil Settlement Courts will remain open. This is going to be a problem for those small cases where hiring an independent mediator will not be worth the expense and/or for those associations that cannot afford such a mediator. And this also means that the Court will not be sending cases out for non-binding arbitrations. This is not good news as statistics had shown that as many as half of lawsuits sent to arbitration settled. These changes, and those planned for the court systems in counties all over the state will create delays as fewer judges and staff will be available to manage these caseloads. In fact, we have already experienced delays over the past year and not all of the cuts have been made. Even getting a simple motion hearing date is an issue; many courts are setting them out two to three months when getting a motion heard in 30 days was previously the norm. We will keep you advised of any changes.